Following a very successful visit to Nua by the Moldovan Ministers in May of this year, we are delighted to report fantastic progress on the Country moving from an institutional to a community-based model of care. 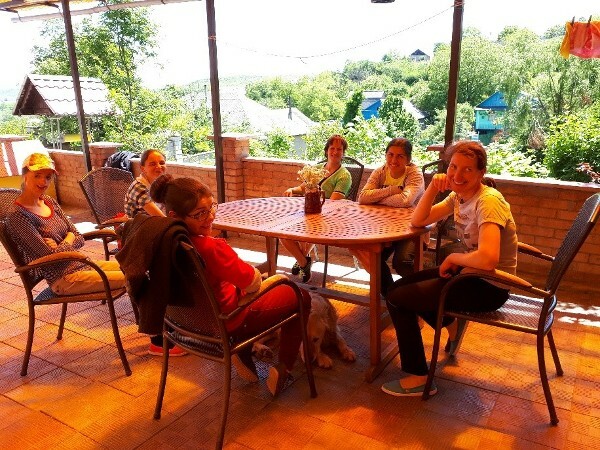 With the support of the Moldovan Government and Outreach Moldova, a group of young people from the orphanage spent their summer preparing to live independently and making their new house a home. In September this year, we were delighted to open the first supported living home with 4 girls from Hincesti moving from the orphanage into their own home in the community. They have been learning to manage their own house and budget, plant and grow vegetables, prepare meals, shop in the community, and have some friends over for a meal on a sunny day. Already, the impact has surpassed all expectations with Felicia and Svetlana in training for employment, Andreia pursuing formal education and Alina looking in to developing her gastronomy skills. The desire, motivation and will to live the life they chose, is evident and we were delighted to help create this opportunity for them. Plans for house number two are already well underway.